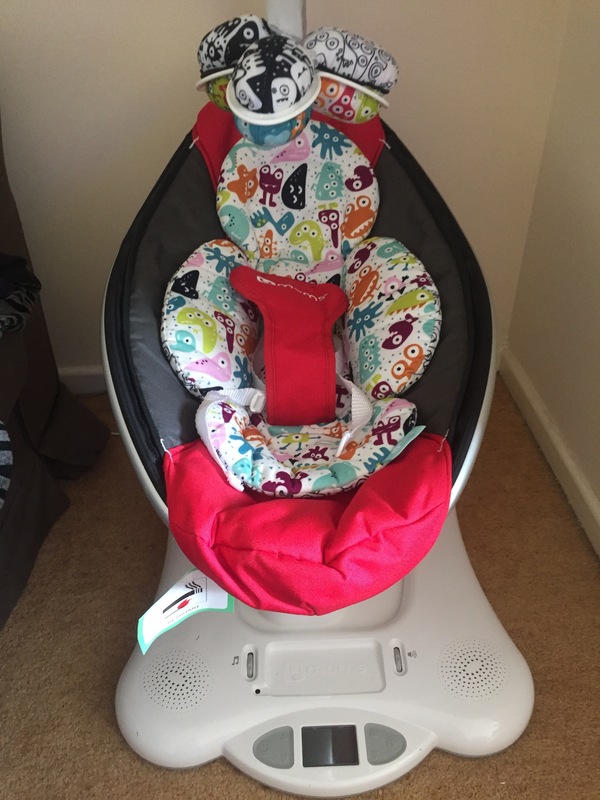 Todays review is going to be all about the 4 moms mamaroo. They are currently retailing at around £260 and then you have to buy the from birth insert which is around the £25 mark. As you can see we have the mamaroo in red, however it is available in red,green and grey. The from birth insert is reversible, it is multicoloured on the one side ( as shown above) and black and white on the other. The insert is made from a lovely plush material and is very soft and gentle next to babies skin. The seat is usable until your child reaches the max weight of 25lbs or is able to sit up unassisted. The mamaroo has 5 different motion senses, and also has 5 speeds and 4 built-in sounds. You can also plug your phone into the mamaroo which allows you to play your music through the mamaroo’s built-in speakers. 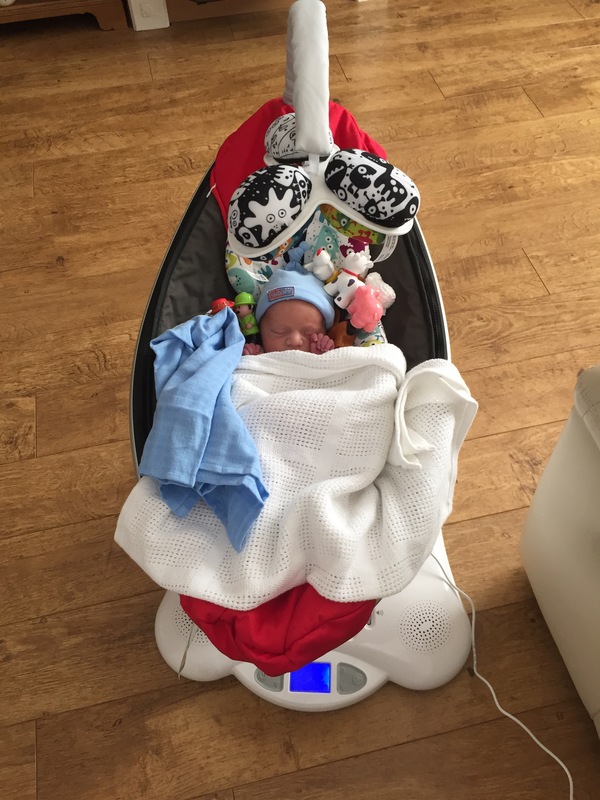 The mamaroo also features an activity you which hangs above your child with 3 removable soft balls that they can play with. – Bouncer and swing combined. – Available in a range of colours and materials. – High quality build that would last a generation of children. – The toys could move or rotate themselves. 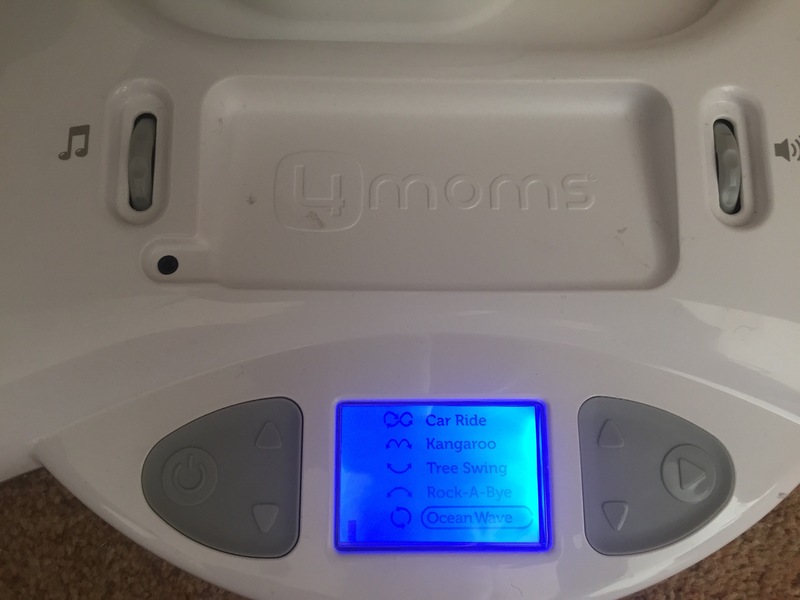 In my opinion the mamaroo is worth the money, I like that it has the built-in phone connecting device so I can play babies favourite music/lullabies back to him. I also like that it has different seats positions so once baby has fallen asleep I can lay it flat. I will leave the link below to the mamaroo website where you can find all the details on where to buy this product here. Next postJacobs 8 week update! Reflecting on the old, Hello to the new..
My Favourite High End Skincare Products Autumn/Winter’17 Edition.